After waking from a dream where all she remembers is the word Wicca, Aryiah is determined to re-educate herself with this magical religion of her youth. When a gorgeous man materializes in her living room, vampires start knocking on her door, and books literally start to glow, she soon realizes this dream was just the beginning of a nightmare. Would you try another book from Tish Thawer and/or Elizabeth Russell? Would you be willing to try another book from Tish Thawer? Why or why not? I liked the book well enough to try this author again, but not this series. And I thought the narrator was great, very entertaining without being comical. Which character – as performed by Elizabeth Russell – was your favorite? 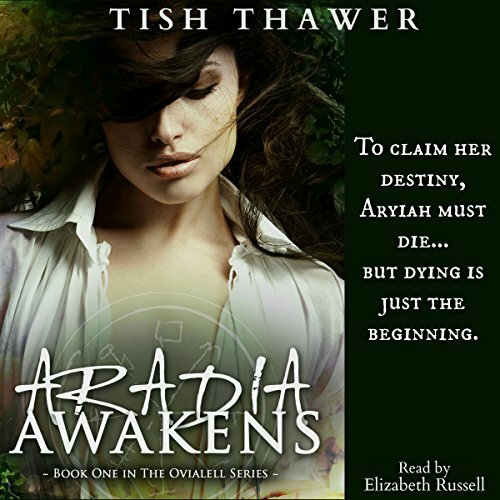 Was Aradia Awakens worth the listening time?